Like the design & colors. I thought for the price, they would've been thicker. This authentic hotel and spa 3-piece towel set is made from plush, high end Turkish cotton for supreme absorbency and durability. 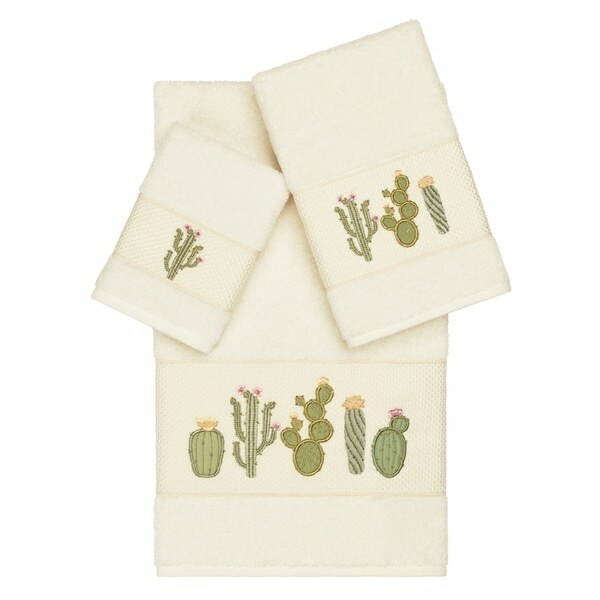 These beautiful cream towels are embellished with a cactus embroidery design with a textured woven border to add that special touch to your bathroom.